← A Big Old Catch Up! Happy New Year folks! We hope you all had a wonderful festive season and are looking forward to the New Year ahead. We are currently hatching plots and planning for the spring. Keep your eyes peeled for blog changes, gig announcements, new songs, videos and maybe a guest blogger or two…. In the meantime if you are feeling the January blues and need a bit of uke action to cheer you up, do come along to my all inclusive ukulele group at the Kings Arms pub in Portesham. Starting back up again on Monday 6th, 8:30-10:30pm, all abilities and ages welcome! 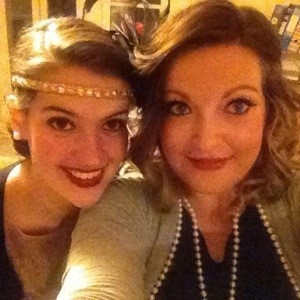 Dressed in our 1920’s finest for an ultra glam New Years Eve!